Rise and shine ladies! It’s time to get up! Slip on the new Chisago t-shirt you bought yesterday and get your blood pumping with an energizing and invigorating exercise class at the St. Croix Regional Lindstrom Wellness Clinic. Check this link to find out what classes are offered the weekend you are in town. Since you’ve just worked out, you can eat just about anything! Really, it’s true! Choose one of the local small town diners to sate your appetite. The Wagon Wheel in Chisago has an amazing Eggs Benedict special. The Swedish Inn in Lindstrom is known for their Swedish Pancakes and Lingonberry sauce, and in Center City, you can fill your tummy with pancakes, eggs and bacon at Ole and Lena’s Swedish Village. Today’s main event is Wine Tasting at four of our local wineries. By the end of the day you’ll be an expert in the three S’s. Swirl. Sniff. Sip. We begin our tour at Winehaven in Chisago City. Located at the top of a hill, this beautifully designed winery welcomes visitors into Chisago Lakes. Sit outside on the patio and enjoy the view of Green Lake while you tantalize your palette with different wines and an order of gourmet cheeses. 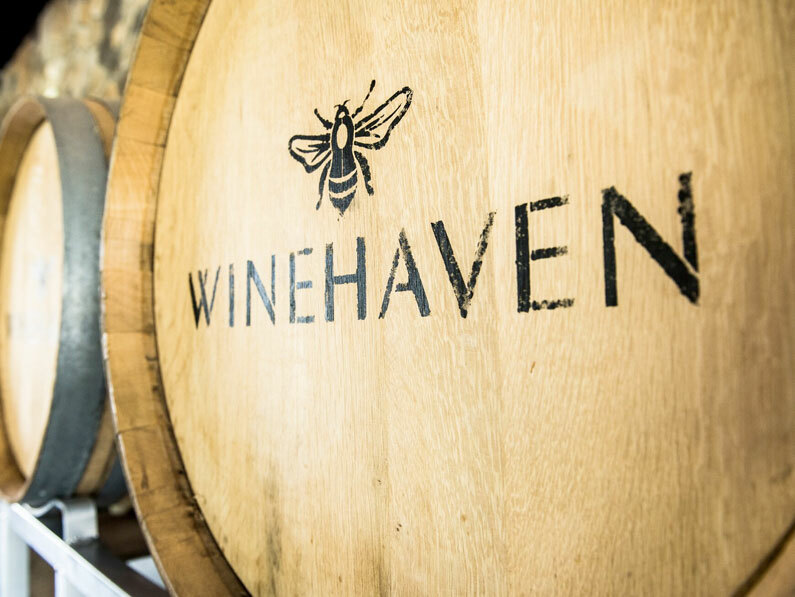 Visit Wine Haven here. Don’t get too comfortable though, you still have more places to explore. Next on the list is Wild Mountain Winery just outside Taylors Falls. Take in the wooded and rustic setting while learning wine appreciation through a certified sommelier. Let your senses work together as you sample wines produced from local grapes. Visit Wild Mountain Winery here. It’s time to give yourself a caffeine jolt. At Coffee Talk in Taylors Falls you can order your favorite Cup of Joe. Sit in the cupola room of this transformed Victorian home and enjoy the boost of energy as the caffeine enters your bloodstream. As you drive back through town to the next winery, be sure to take some time to explore the local shops. Parlez-vous francais? It’s ok if your answer is non, as speaking French is not a requirement at our next stop. You might, however, be inspired to pull out a couple of those French phrases you learned in high school when you see the French inspired Chateau St. Croix Winery and Vineyard just north of St. Croix Falls. Enter the majestic entrance into the spacious tasting room, scout out the extensive offerings in the deli, and immerse yourself in the experience. Visit Chateau St. Croix here. The final stop on this grape-inspired tour is Dragonfly Winery on the east side of St. Croix Falls. Wines, paired with wood-fired pizza and oven-baked cheeses, will be a treat for your tastebuds. Plan carefully and you can combine the wine sampling with one of their Paint & Sip events and go home with an artsy souvenir. Visit Dancing Dragonfly Winery here. A scenic boat tour along the St. Croix River is the perfect way to wind down the day. Taylor’s Falls Scenic Boat Tours offer dinner cruises featuring an up-close-and-personal view of rock formations, live music and delicious food. Truly an experience you don’t want to miss! Taylors Falls Scenic Boat Tours.